A complicated subject always makes for a fascinating biography. 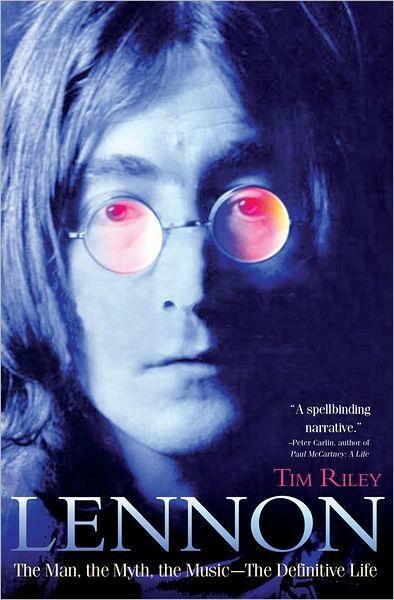 When it comes to John Lennon, the fascination only multiplies. With Lennon, there is the dichotomy between the art and the artist, an understanding of the “London and New York John Lennons,” complete with the annoying contradictions and prickly outbursts that drove his persona. Finally we are left with a guess of what might have been as Lennon was emerging from a mid-decade sabbatical from recording and performing before he was killed outside his home in 1980. Graciously hostng the luncheon in Boston was our old friend Rucker Alex; Heading the table in Manhattan was the always-amazing Shari Foos. Why the Beatles were different. Unlike Elvis or the pop stars of the early 1960’s, the Beatles wrote their own material; it wasn’t Lieber and Stoller but Lennon-McCartney. They made it mandatory for anybody who followed to do the same if they ever wanted to be taken seriously. They were neatly packaged by Brian Epstein and blessed by Ed Sullivan in their televised American debut. They were nice working class boys with haircuts just long enough to be edgy and their two movies, “A Hard Day’s Night” and “Help!” stayed clear of the psychedelics and protest that drove youth culture in the second half of the decade. Where does our brain end and where does our mind begin? Are we controlled by our own internal wiring or can we rise above our circumstances through free will? This is a luncheon where the physical collides with the metaphysical. In the novel (and later a movie) “The Boys from Brazil,” a fictional Joseph Mengele implants genetic clones of Adolf Hitler into a the wombs of over 90 women in the hopes of creating the Next Reich. However, Mengele takes things one more step because he tries to recreate the emotional mindset of the young Hitler, complete with a domineering older father against the backdrop of a much younger and pliant mother. As the novel winds through the jungles of Brazil and then spirals outward to where these genetic Hitlers are growing up in a modern world, Mengele engineers the sudden deaths of the fathers to mirror the sudden death of Hitler’s father when he was a teen. A fictional version of Simon Wiesenthal is able to break up Mengele’s final medical experiment, but the novel leaves you hanging because in the final pages, one of the surviving teenage-Hitlers now begins to exhibit delusions of grandeur. Can you replicate past behavior? 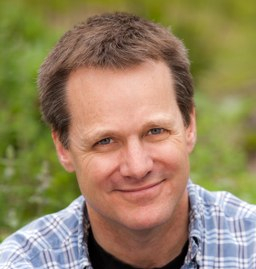 Can the mind be that predictive? 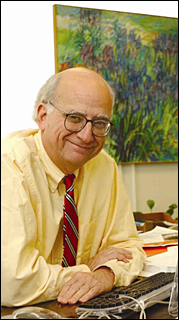 Does one impact the other—does the mind enable or constrain the brain? Located in the private room at Palio D’asti to an overflow group of guests in January and in June to a group of group of smart Manhattan diners at Prime House, Dr. Michael Gazzaniga spent a good two hours with us debating that very point. 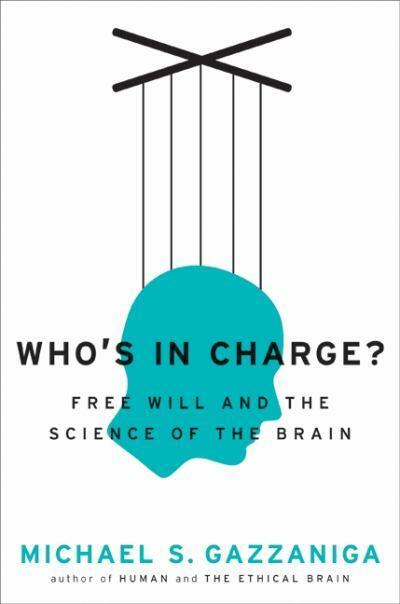 In his latest book, “Who’s in Charge: Free Will and the Science of the Brain,” he tackles this subject in book form, based on the series of his Gifford Lectures, which for the past century has been the home prestigious conversations on religion, science, and philosophy. We have moved miles since the popularization of pseudo-sciences like Phrenology, that suggested that bumps on our head would determine our behavior. However, as we learn more about the physiology of the brain and unlock those secrets, we will soon wander to where the black-and-white meets the grey—understanding how the mind works. Meshing science with philosophy will be the great race of the 21st century but advertising aggregators, like Google and others, are hard at work building out algorithmic proxies on how we think based on what we buy. We said good-bye to an old friend in late May when Fior D’Italia closed. It seemed to be extra poignant that our Luncheon Society conversation with Nobel Laureate Paul Krugman on the current economic troubles also coincided with the final day that the oldest continuously run Italian restaurant west of the Mississippi. After our luncheon, the staff prepared for their final dinner before the locks were placed on the front door. We hope that they will return under new ownership. If we were going to have a last bash with Fior, the Paul Krugman would be a grand way to bid farewell to a long time San Francisco favorite. 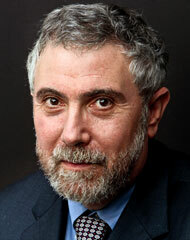 We were pleased that Paul Krugman joined us to discuss his new book End This Recession Now. In the largest Luncheon Society gathering to date, we all managed to huddle together for a great conversational “back and forth” that took the better part of two hours. 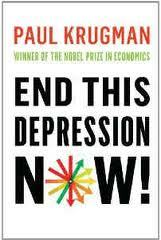 As the nation’s most elegant Keynesian economist, what frustrates Paul Krugman most was that during the Collapse of 2008 and its aftermath, the lessons learned from The Great Depressions are equally applicable to the Great Recession but policymakers (especially those on the far right) aimed for an austerity program, even if it does more harm than good. Krugman makes the case that the United States would find full employment within a 2 year period and fund it with an inflationary rate in the 3-4% range. Runaway inflation is a scary matter for those who went through the 1970’s and now worry that any savings might be wiped away, but to those who worry about their 401K retirement programs, the lack of progress from the global economy upward has more of a financial drag.